Event Capital, the live event IP division of Laqshya Media Group, has acquired a majority stake in the WindMill Festival, promoted by Tribe Asia, for an undisclosed amount. The live event IP specialist company from the Laqshya Media Group will partner with Tribe Asia to host the second edition of the festival in Mumbai. This announcement from Event Capital comes close on the heels of the success of Bollywood Music Project 2016 (BMP), which witnessed performances from over 65 top artists of the country for an audience of over 20,000 Bollywood music fans. Along with BMP, Event Capital holds the rights for Bike Festival of India, India Kids Fashion Week, Manifest, The Edutainment Show, Fulcrum Awards, among others. In the inaugural edition in Bangalore held in November 2015, the two-day fest saw over 6,000 families including expats, urban parents with their little ones, global names in the genre, sports moms with their kids arrive to explore a vivid and internationally curated experience. Like in the first edition, the festival will run over a period of two days and the curation will be segmented to accommodate three age groups: 0-3 (Infants and Toddlers), 4-7 (The Little Explorers) and 8-11 (The Pre-Teens). In the previous edition, there were over 35 workshops, India’s first festival petting zoo, a day-care centre, play arenas, a lounge for mothers to relax, water play areas, robotics, pottery, photography, arts and craft and skateboarding. 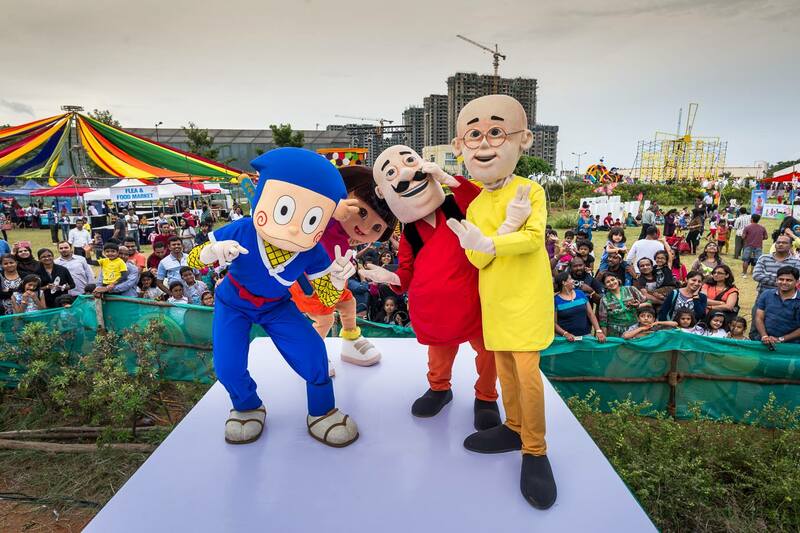 The festival featured The Raghu Dixit Project as the headline act on Day one, and Nickelodeon superstars: Dora the Explorer, Ninja Hattori-kun and Motu-Patlu on Day two. The second edition of the ‘international children’s festival’ will be held in Mumbai before the year ends, and taken to more cities soon after.